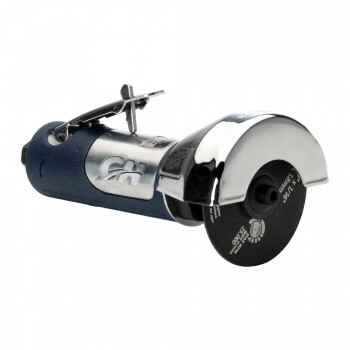 The Campbell Hausfeld air cut-off tool (TL053500AV) delivers 20,000 RPM of fast cutting power to take on tough jobs. 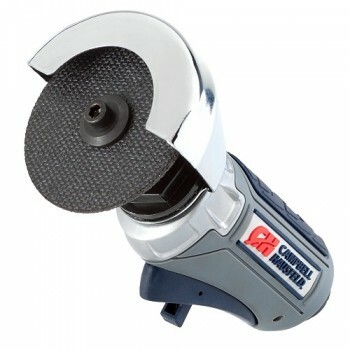 The Campbell Hausfeld GSD Cut-Off Tool (XT200000) handles plastic, fiberglass, composite materials, sheet metal, angle iron, metal tubing and more. Boasting a free speed RPM of 20,000, a lightweight design (1.6 pounds) and an ergonomic comfort grip, the XT200000 helps you Get Stuff Done in a convenient and efficient manner.